Fill out the questionnaire, then, fax to (562)-361-4145 or scan the application and email it to nancy@luckybunnyrescue.org. Completed applications may also be dropped off at PetSmart in Murrieta. 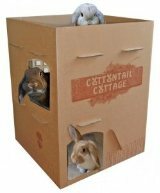 Lucky Bunnies are mainly housed at the Bunny Bungalow and local foster homes. Our bunnies may also be seen at www.shelterexchange.com, www.petfinder.com and www.adoptapet.com. Email nancy@luckybunnyrescue.org for information about adoption or volunteering. Scroll down page to see all listed rabbits.